John Kuzmich, Jr. Ph.D. is a veteran music educator, jazz educator and music technologist who has taught on five continents. Won five Gold Medals as a band director at the World Music Contest in Kerkrade, Netherlands. His music talents are wide-spread as an accomplished conductor, performer, clinician, author, technologist and educator which help to make him a very creative music studio teacher regardless of the level of the student. Here are ten reasons to contact John. 2 - National and international jazz studies specialist since 1970 with emphasis in combo improvisation and instrumental jazz including strings. 3 - 600+ feature articles in national/international music education journals since 1973. 4 - Music technology columnist for "School Band & Orchestra" magazine since 1998 to present. 5 - Distant-learning as a video conferencing specialist since 2006. 6 - College admissions and scholarship coach for music education majors. 7 - Successful public school teacher for 43 years in instrumental music and computer technology. 9 - Jazz and technology clinician in Australia, New Zealand, Brazil, Chile, Poland, Switzerland, Hawaii, and China. 10 - Membership in Jazz Education Network. Technology Institute for Music Education and International Association of Schools of Jazz. Magical Formula for Studio Teaching! While the private music instruction should focus on a suitable method book for long-term growth, there are other creative ingredients that can also benefit and enhance your child's musical development in accomplishments and attitude for home practice! Contemporary music with Jazz/rock/pop components should also be included. Classical solos with piano or CD accompanied for school district solo & ensemble festivals should also be considered. Music & Arts even offers a monthly recital on the third Friday evening of every month. In addition, my wife is an accomplished piano accompanist that we could utilize. I'd be happy to work on specialty topics with your child especially since I'm nationally known as a jazz educator and a music technologist which works well for both home and studio lessons. Consider the following technology attributes for your consideration that are readily available in today's 21st century market. Music & Arts has just received an order for the most appropriate Christmas music that could be supplemented in our lessons for the upcoming holidays. See Beau, Mitch, Elizabeth or other sales people for these books to implement in our lessons so I begin supplementing the instruction ASAP. Collaboration of including school music assignments for upcoming school music concerts. One thing that helps to clearly sets me apart from other private teachers, is that will assertively make an effort to makeup all lessons in a timely manner regardless of the reason for a missed lesson because regularity is an essential ingredient for both short and long-term success of private lessons. A successful public school music educator for 43 years, Dr. Kuzmich is a difference-maker in reaching out to students regardless of their learning styles, musical interests and talents. As a successful high school band director of 25 years, he brings a wealth of teaching expertise and experiences to enhance his music studio teaching. In particular, John networks particularly well with music publishers so the most pertinent instructional materials are utilized regularly which ultimately results in developing quite a curriculum–base for students at all levels of instruction. As a music technology columnist, there are more than 200+ published feature articles presently on-line at www.kuzmich.com/bibliograhy.html. His academic background also includes a Ph.D. in comprehensive musicianship. 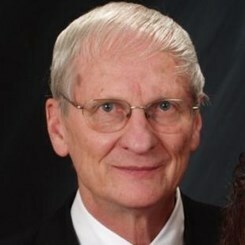 As a freelance author, he has more than 800 nationally published articles which are linked to national music journals at www.kuzmich.com/articles.html and three five jazz pedagogy textbooks to his credits at: http://www.kuzmich.com/jazzbooks.html. John has also been a senior editor of three national music educator journals (Jazz Educators Journal, American Suzuki Journal and The Instrumentalist) for nearly 20 years, and is well aware of the needs of classroom music teachers. For more info, visit John's social media and professional web sites cited below.